In America’s golden age of manufacturing, the question of how to measure productivity was an easy one to answer. Line workers or assembly staff would generally focus on a few primary tasks, such as labeling a product, or packaging a product, or sorting ingredients. More complex tasks such as assembling electronics or even large scale machinery were still easy to judge in terms of their output. But with the shift of manufacturing to other countries and the widespread adoption of robotics, many nations’ economies became centered around the service industry, with more and more workers spending their days glued to their seats in front of computer monitors. The growth of these “knowledge workers” has started to pose a problem for companies that have a high number of employees whose duties are broad, sometimes vague, and almost always centered around the computer. These knowledge workers need to be distinguished from other entry level workers who might only be responsible for one task. For example, loan processors at a mortgage lending firm can be easily measured by the total number of loans processed. Customer service representatives at call centers can be measured on how quickly they successfully resolve issues, along with satisfaction metrics. The clarity of these one-off tasks have allowed some companies to completely allow these types of workers to work remotely. The airline Jet Blue was a leading and prominent proponent of allowing their reservation agents to work full time from home. 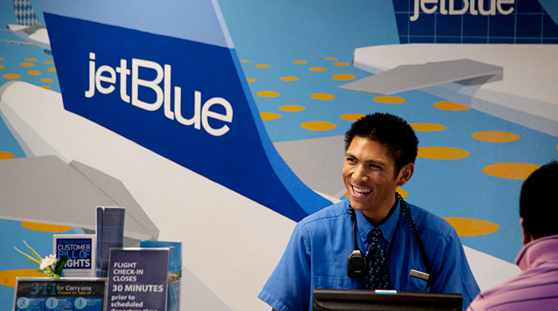 According to a CBS News feature in 2007, "The minute we made that transition their productivity was 25 percent better,” says Jet Blue’s CEO David Neeleman. But what about the scores of positions that aren’t so clear-cut? These include the various marketing positions from entry level assistants all the way to director levels, including digital marketing, PR, social media, communications, event planning and others. These could also include financial jobs both within businesses or at actual financial service firms such as auditors, financial analysts, corporate financial planning and others. Or human resource positions. Even for employees where it might seem like measuring their output would be an easy thing to do, often it is not. Take the case of software developers or coders, which more and more businesses are reliant on as software underpins almost all our activities. Software developers write code, which is their output. But how do you measure their productivity? Unlike screwing a cap on a tube of toothpaste, coding is a much more complex activity, part science and part art. The productivity of a coder can’t be measured strictly by sheer volume of code written, just as a writer shouldn’t be judged on if he or she could churn out more words than the other writer. After all, what good are more words if what is written is of poor quality? Likewise, what good is writing more lines of code if the code is faulty or inelegant? In fact, just like the best copywriters can communicate the clearest with brevity, top software developers may also write concise, clean and reusable code that is easy to maintain. Nor can the coder be measured then strictly on code quality, since the intricacies of software mean that “bugs” can vary in severity from just cosmetic to catastrophic ones. And just as in other positions, the performance of employees may fall under the 80/20 rule. A small number of employees, maybe around 20%, may be the “superstars” who are both talented and efficient. They may produce the highest quality work, but then may not actually work the rest of the hours. Others may work slower and steadily. Yet the superstars cannot be criticized for not producing if measuring on metrics such as output or bugs. And it would seem odd to criticize them for being too efficient. So we see that in this new age of the knowledge worker, a newer and better way to define and measure productivity is needed. The missing variable for this new way to measure productivity is diligence. Measuring diligence would both reward the slow but steady employees as well as provide an incentive for the superstars to focus on their job at hand, regardless how efficiently they complete their assigned duties. 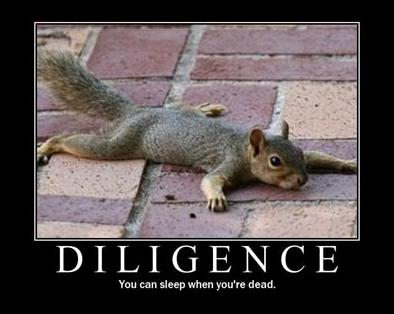 But what is the best way for management to measure and assess an employee’s diligence? After all, even tech giant Yahoo! had to resort to checking VPN logs for remote workers as a proxy for trying to figure out if they were working or not. Thankfully, there is an ideal solution: MySammy. MySammy’s cloud-based productivity measurement tool monitors just the necessary data needed of employees to determine their diligence. Employees are never spied on, nor are screenshots ever taken. The retention of their privacy also extends to options that include users being able to toggle MySammy on or off while on their personal time. -Number of keystrokes and mouse clicks. Taken as a whole, the manager can then assume that if an employee shows a high active time on the computer, with high time using work applications and low time visiting websites for personal use, they are being diligent. Try MySammy’s Starter plan for up to 4 users, completely free, no obligations. Please visit http://www.mysammy.com/plans and get started on the path of better productivity measurement today.